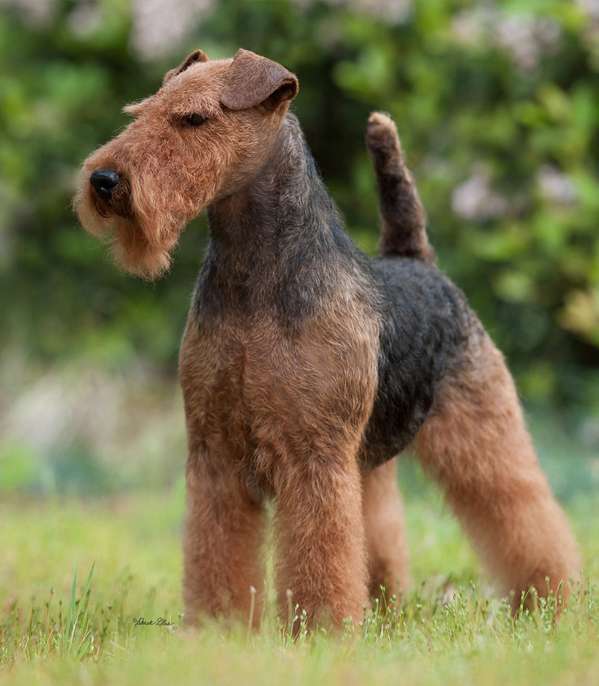 Welsh Terriers are not a breed with huge numbers. Puppies are in high demand and the breed is scarce. 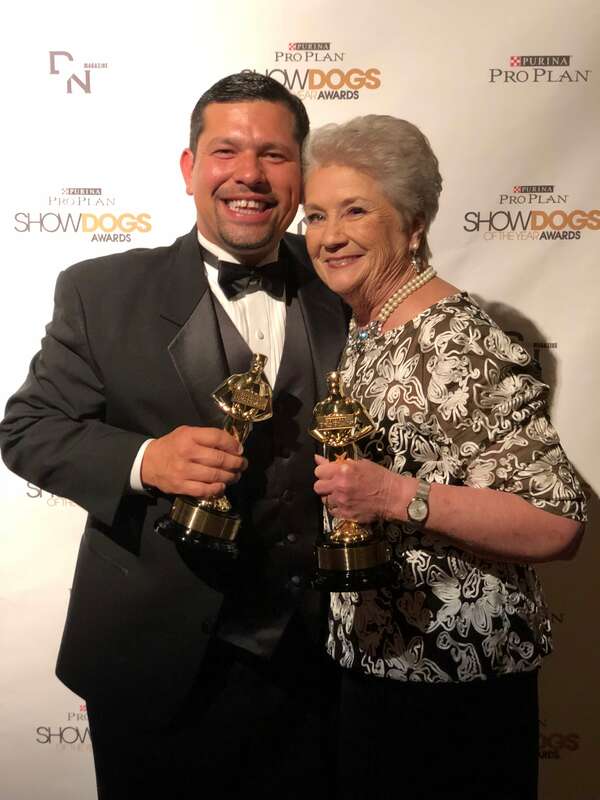 Historically, this has not been a breed that has been well-represented at major dog shows, simply because compared to other breeds, there aren’t many. 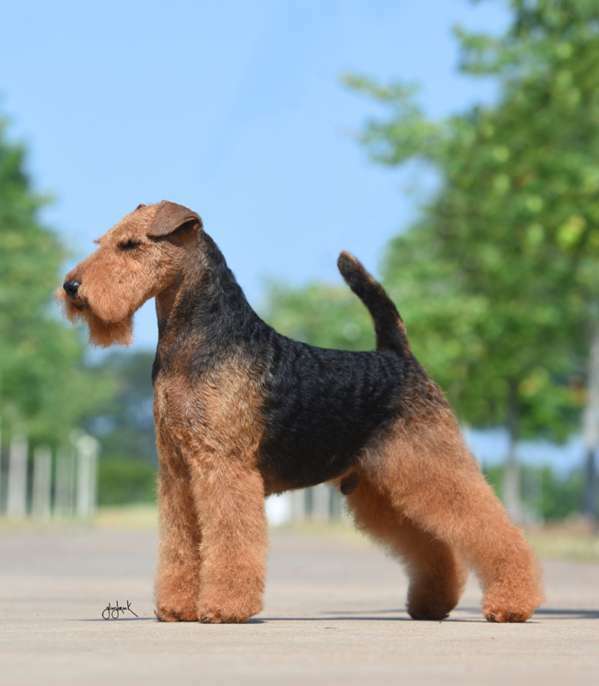 To breed a dog of the caliber worthy of being best of breed in North America all year is impressive. 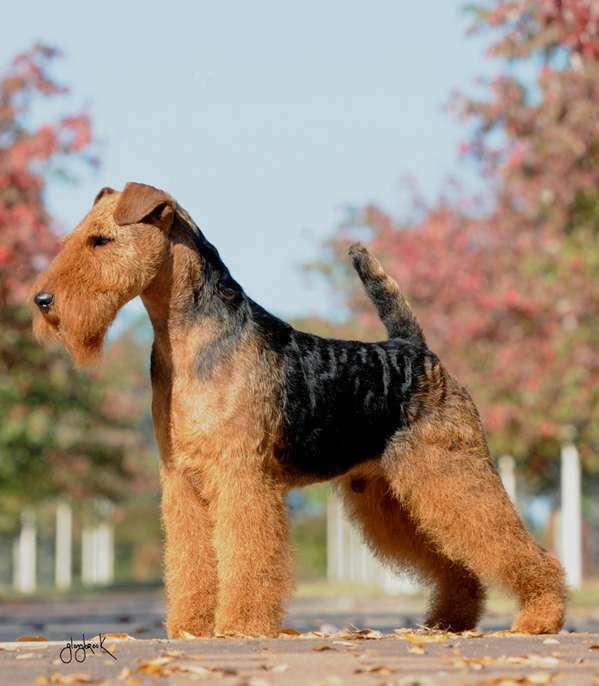 For a Welsh Terrier to succeed outside of this world is another thing. 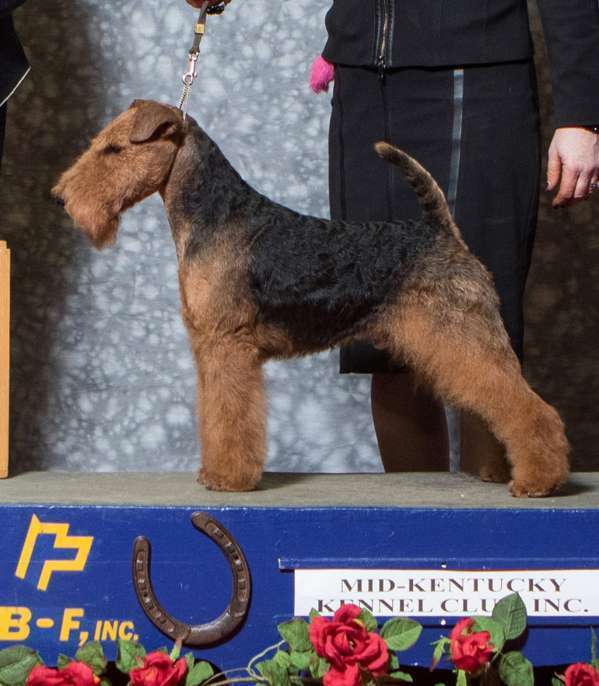 In 2017, Khaleesi — GCh. 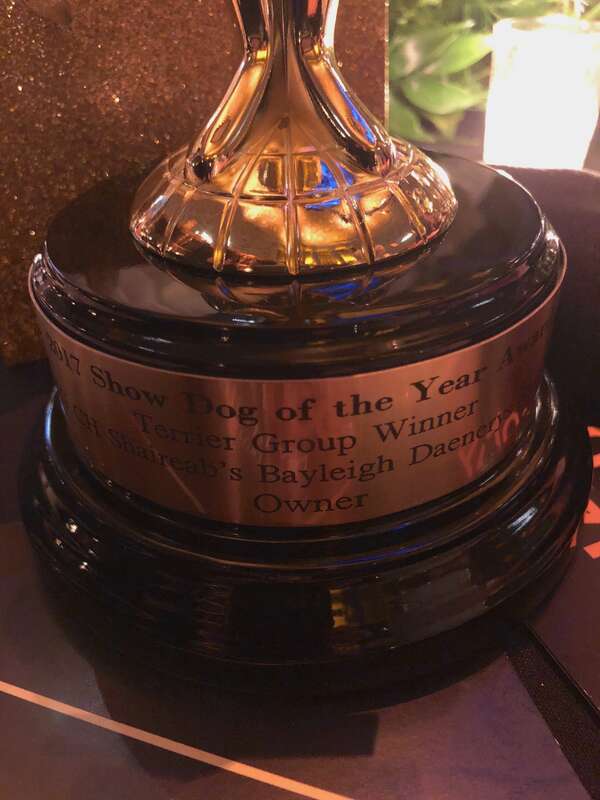 Shaireab’s Bayleigh Daenerys Stormborn made history — she was the Number One Terrier in America for 2017, beating out all other (many of them breeds with much greater numbers) Terrier breed representatives! 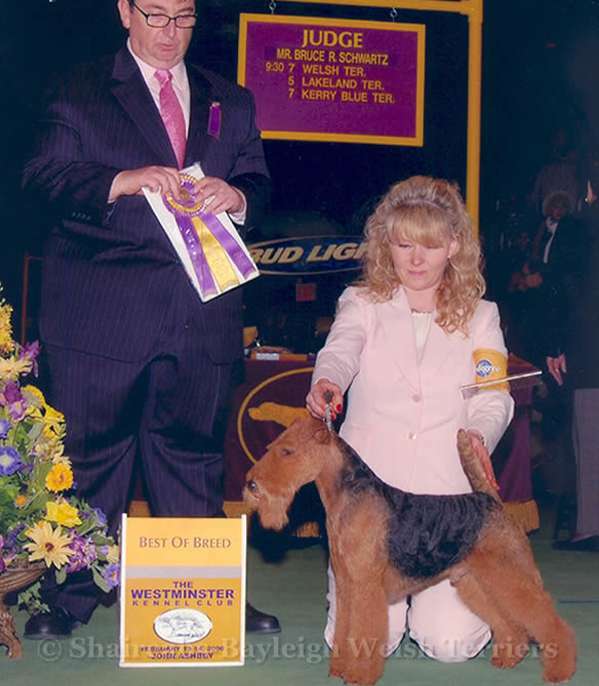 There are many special events that occur surrounding the Westminster Kennel Club show in February in New York. 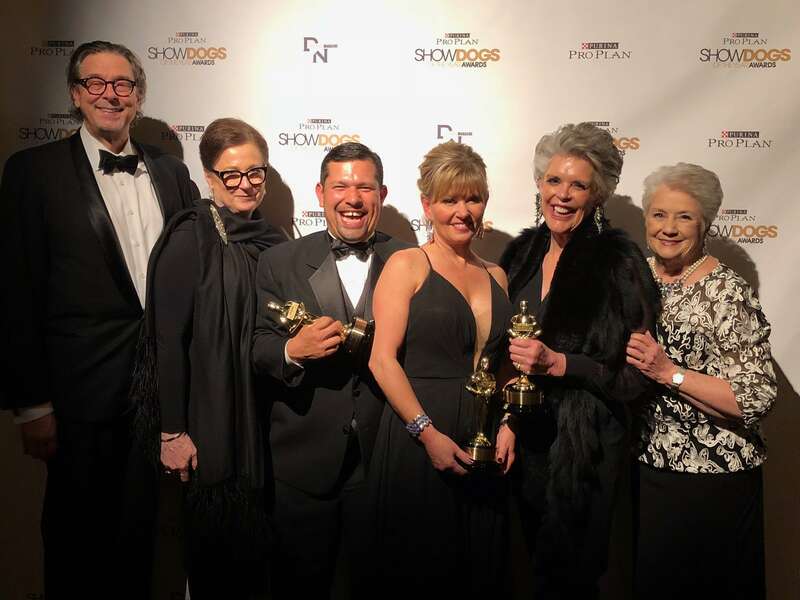 One of the important neighboring events is the Purina ProPlan / Dog News Magazine Annual Show Dogs of the Year Awards. 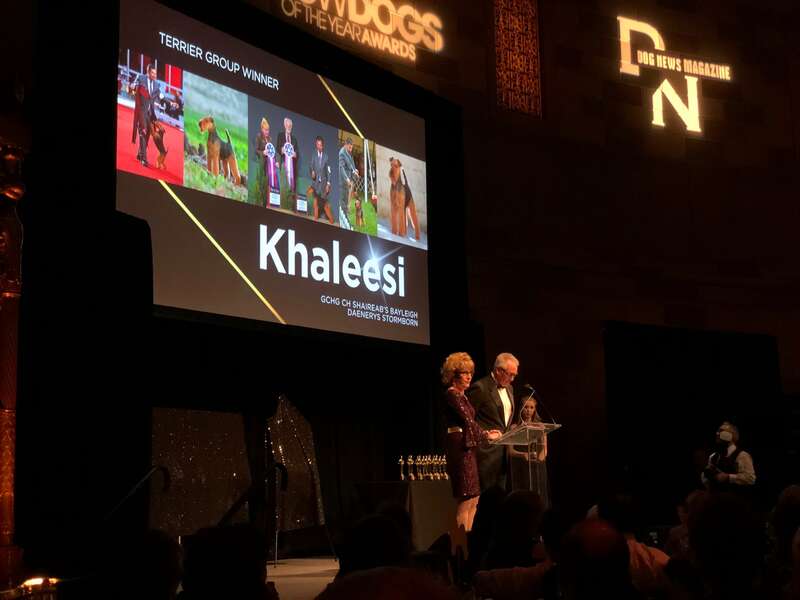 This year, we were invited to attend the awards event, and Khaleesi and her team were honored as the Terrier Group winner. 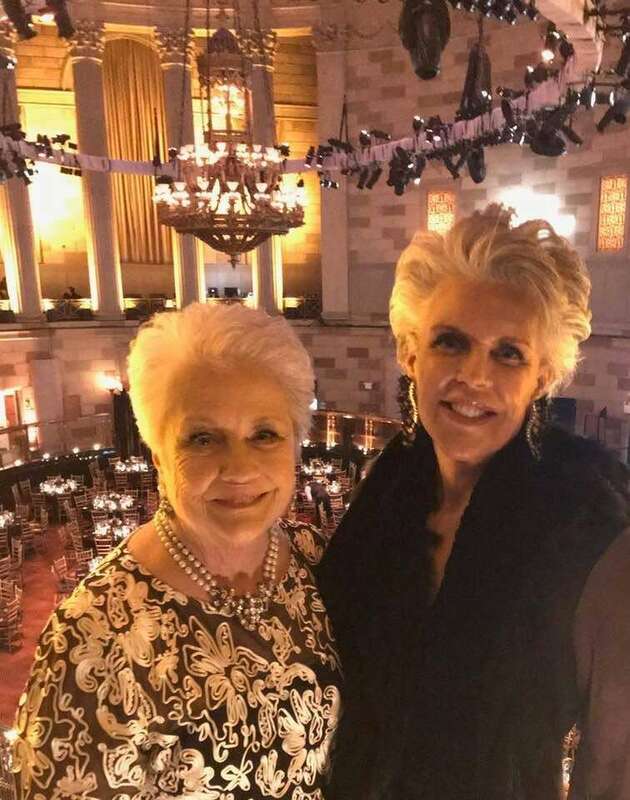 The Bayleigh legacy began with the partnering of friends Sharon Abmeyer and Keith Bailey. 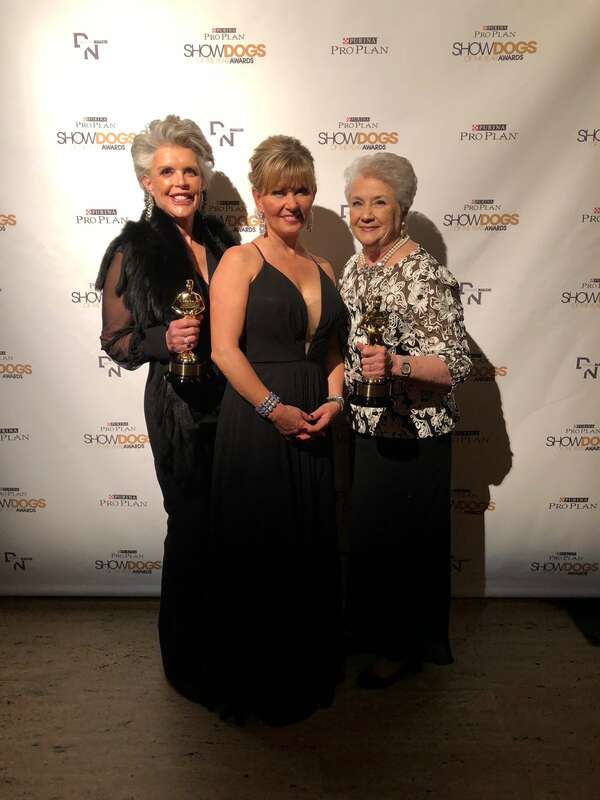 These two special women have built one of the most successful Welsh Terrier breeding programs of all time. 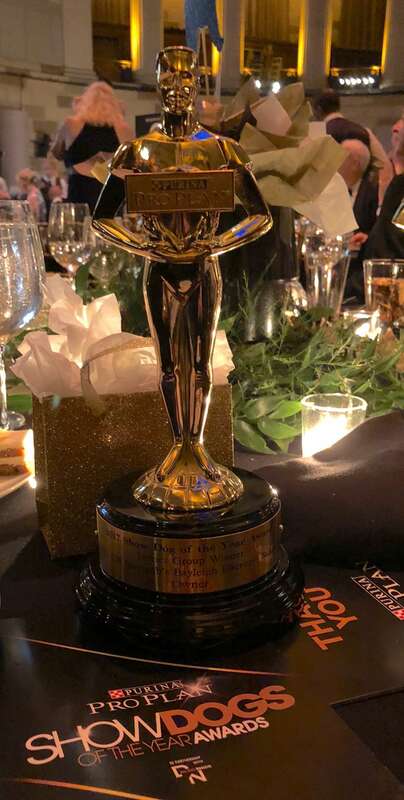 The proud team at the Awards Ceremony. 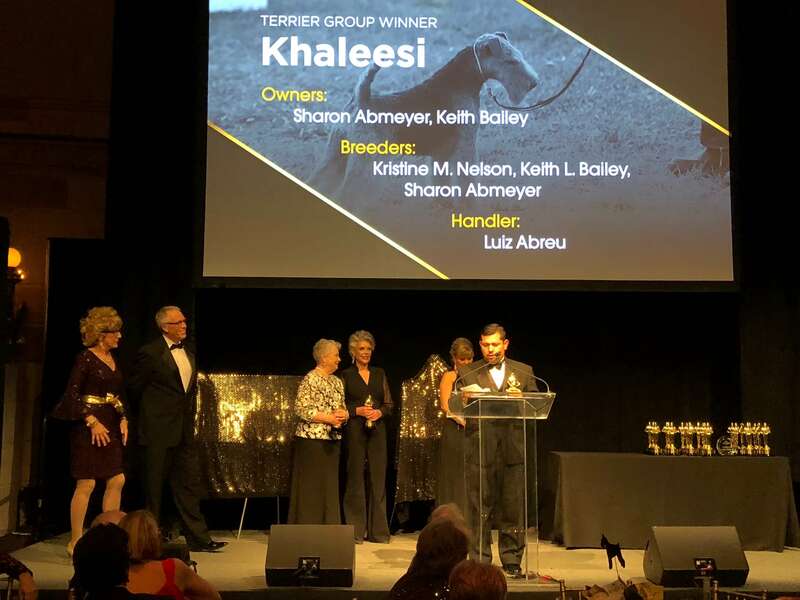 From left to right: Sharon Abmeyer, Tracy Szaras, Luiz Abreu (Handler of Khaleesi), and Keith Bailey. 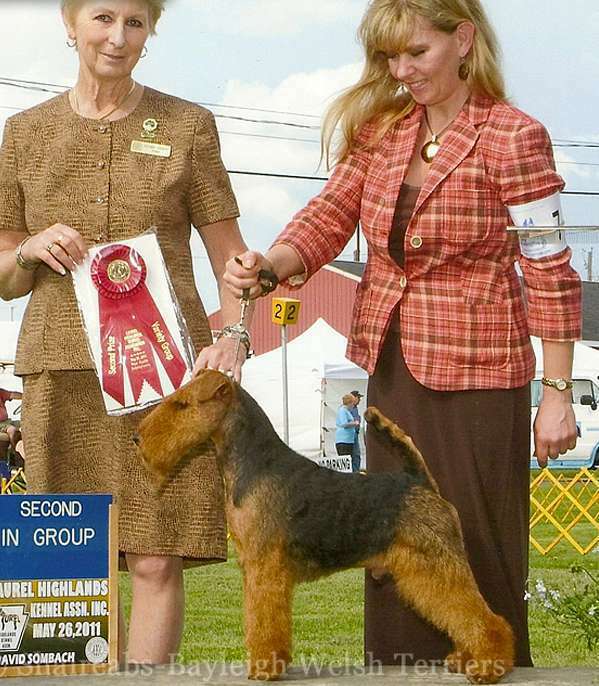 Khaleesi was the winner of the Terrier Group. 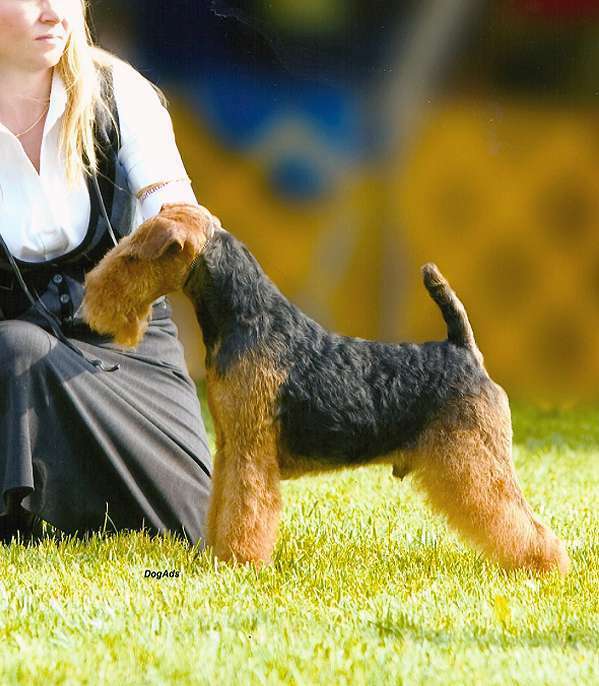 She is owned by Sharon Abmeyer and Keith Bailey of Bailey Welsh Terriers, and was bred by Kristine Nelson, Keith Bailey, and Sharon Abmeyer. 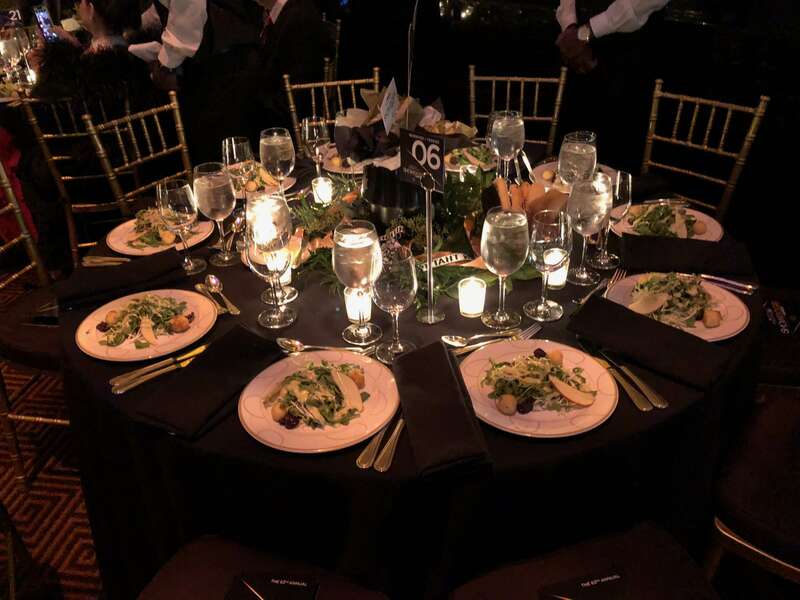 The Bayleigh Team enjoyed a special dinner, then partied! 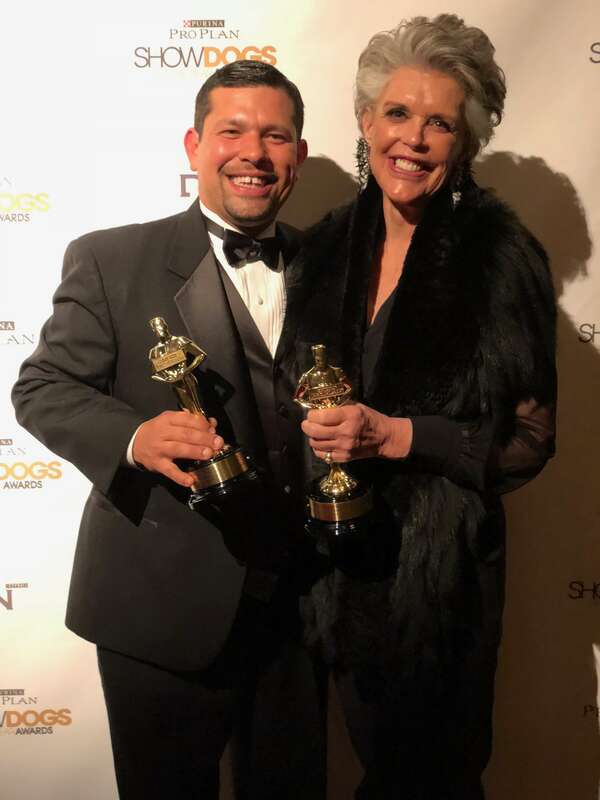 Tracy and Luiz are the Bayleigh Handlers, and are also an adorable couple. 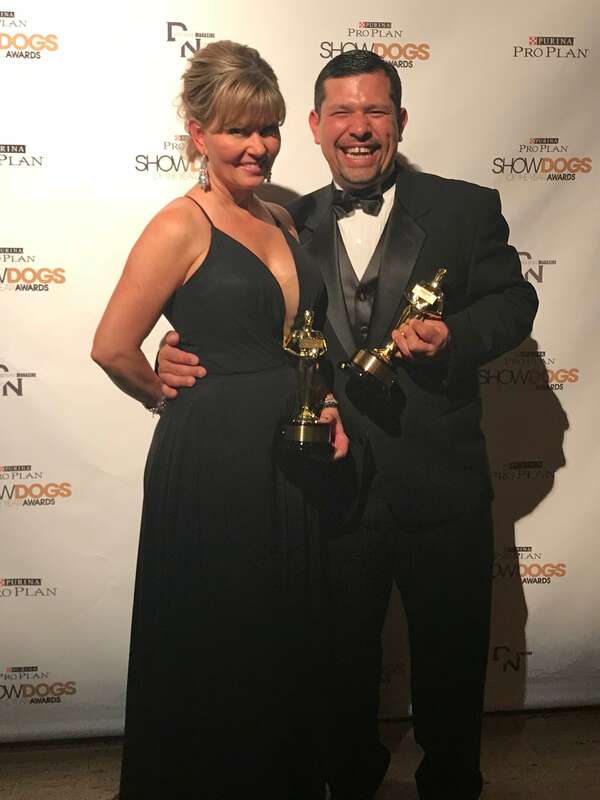 What a happy pair of hard-working and talented individuals! 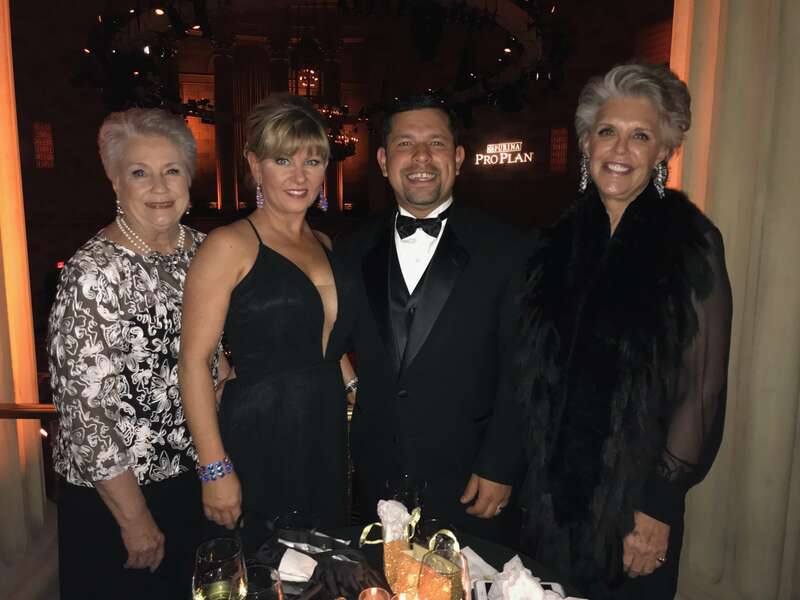 From Left to Right: Geoff and Denise Yates, Luiz Abreu, Tracy Szaras, Keith Bailey, and Sharon Abmeyer. 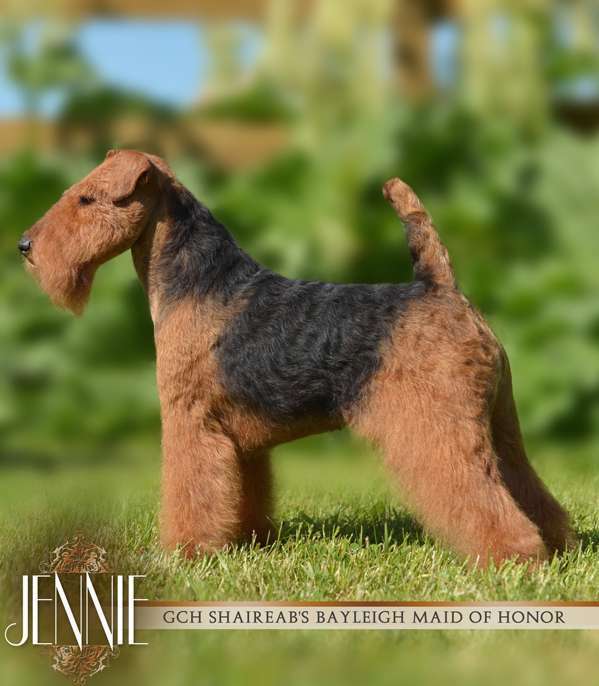 Denise and Geoff own GCh Shaireab’s Bayleigh Enough Said – “George.” George is their first Welsh Terrier and was Best of Winners at the Welsh Terrier Club of America’s National Speciality show in 2017. 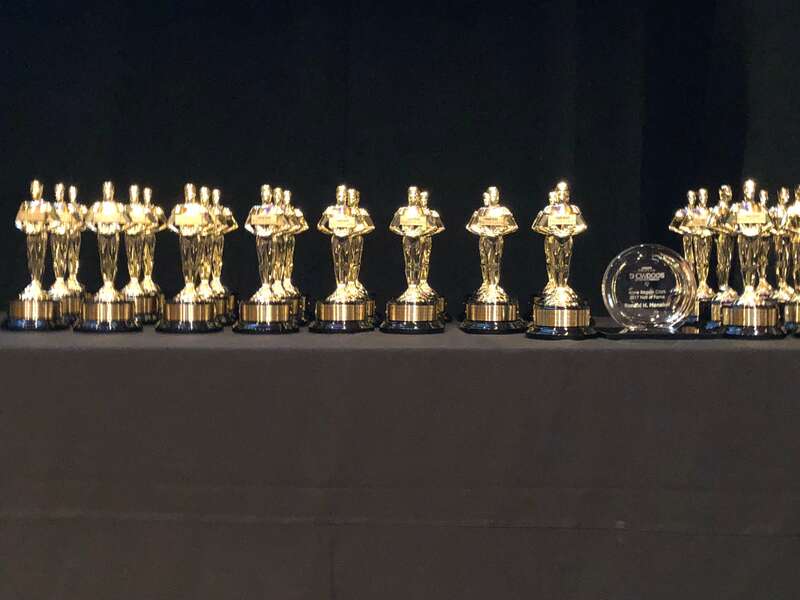 Above: the trophies. 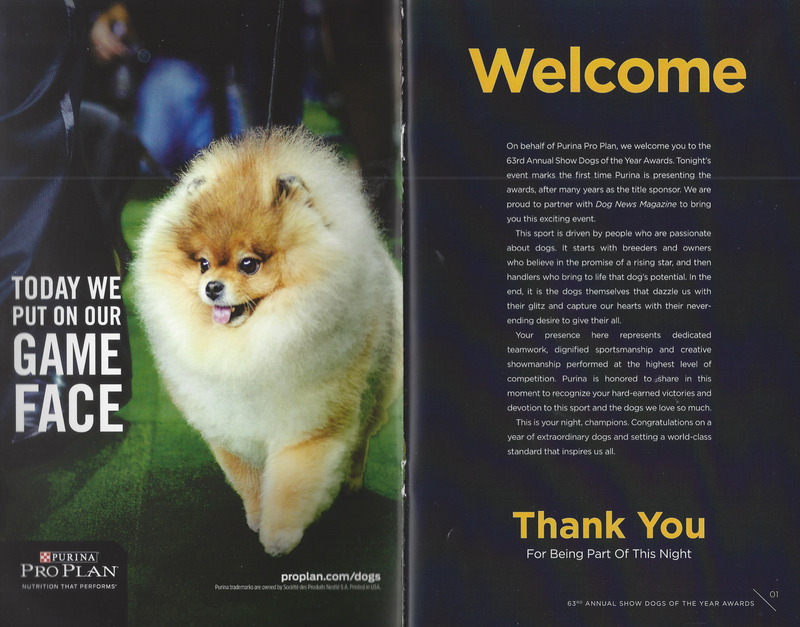 Below: A page from the 63rd Annual Show Dogs of the Year Awards event program.